The Canadian Women’s Club – welcoming Canadian women to London for over 80 years. Each month, members visit a place of interest in London. Recent visits have included the London Silver Vaults, The Royal College of Physicians, the David Milne and the Emily Carr Exhibitions at the Dulwich Picture Gallery, Aspley House, Two Temple Place, the Royal Albert Hall, the Westminster Archives, the Whitechapel Bell Foundery, Spencer House, Buckingham Palace, the Wallace Collection, Tate Modern, Jewish East London, Kings Cross Development, the Royal Opera House and the Young Vic Theatre. All our visits are led by professional guides ensuring an in-depth experience. London is wonderful, but from time to time a trip to the countryside is good for the soul. We catch a train at 9.35 and within an hour or so we are deep in the English countryside with its stately homes, gardens and history. 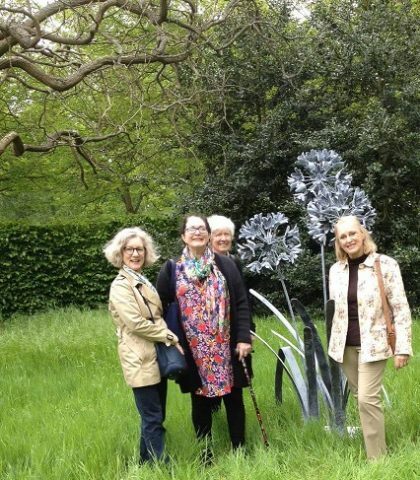 Recently we have been to Syon House, Winchester, Anglessy Abbey to see the snowdrops, Oxford for a guided tour, Highclere Castle, home of Downton Abbey, Sissinghurst with its Bloomsbury connections and Polesden Lacey. Londoners love to go to talks, and so do we. From time to time we hold special talks at Canada House on topics such as Canada and brexit, the London opera scene, and living in London during WWll. 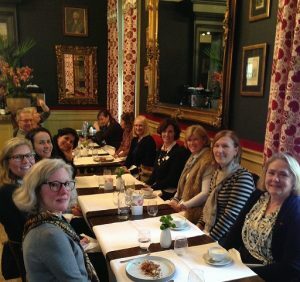 We often receive invitations from other clubs such as the Australian Women’s Club inviting us, for example, to Australia House for coffee morning talks on topics such as women’s health, the Queen’s private office and the Paris resistance. Every Wednesday at 8.15 sharp, rain or shine, a group of keep fit enthusiasts meets at Clarence Gate for a walk in Regent’s Park. It’s a chance for a chat and watching the seasons unfold in one of London’s beautiful Royal Parks. The pace is moderate, the aim being not to race around the park but to take in the beauty and fresh air while striding along with fellow Canadians. Reading is a passion for many of our members. The CWC has two book groups, a daytime traditional format group where everyone reads the same book, and an evening group with an open format where members bring books they have been reading and share them with others. In each case, the discussion is always relaxed, insightful and inevitably sidetracked to areas where a group of interesting women who have varied interests can have a discussion. You can’t live in London and not be a bit of a foodie. Each month a reasonably priced lunch venue is chosen to showcase the wonderful and diverse multicultural and ever-changing food scene in London. Recently we have dined on Russian, Chinese, Indian, Danish, Korean, and French cuisines in some interesting themed restaurants and enjoyed lots of laughter. Our members love a party from time to time and organise special gatherings in the summer and at Christmas. Each November we find an interesting venue to experience one of London’s famous afternoon teas. Places have included the former London City Hall, the Royal Automobile Club and a riverside tea house in Richmond. You cannot live in London and not experience its brilliant fringe theatre scene. Each month a play is proposed. Members buy their own tickets and let the host know so we can meet up. The evening is rounded off either with supper before or a drink in the bar, making for an enjoyable evening. CWC belongs to the Federation of International Women’s Associations in London (FIWAL), a network of over 30 women’s clubs across London. 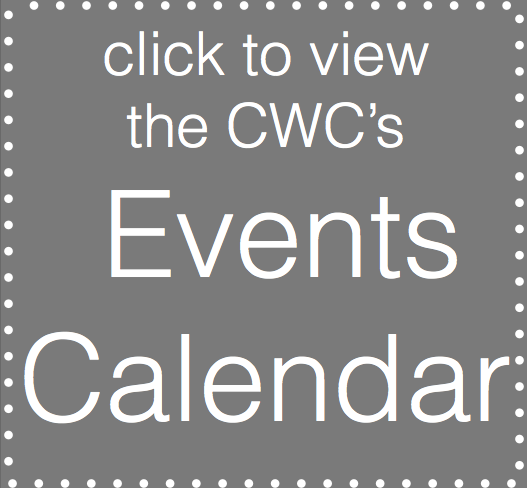 As a member of the CWC you can attend many of their events, providing opportunities to enrich your experience and meet women from other countries and backgrounds. As a club run almost entirely by volunteers, CWC is a great place for women with time and organisation skills to get involved in organising their club. If you have a special interest and would like to set up a group, either alone or with another member, let us know. If you would like to organise an outing, we are always looking for ideas. We also need people interested in being on the executive and getting a deeper knowledge of running a club. Our sister organisations, of which the CWC is the founder, the Canadian Centennial Scholarship Fund and the Maple Leaf Trust also welcome volunteers from the Canadian Women’s Club. All of these activities and more are advertised in detail in our twice monthly newsletter. To sign up, please visit our membership page. We look forward to welcoming you. Below are just some of the events on offer to members and their guests. Members should refer to their e-newsletters for full listings. To view the CWC’s cancellation policy, please click here. Please see Newsletter for details. Current book – East West Street by Philippe Sands.